There was quite a bit of local buzz around our village about this producer so naturally we made plans to visit them ourselves. The chateau itself is tucked back in Bregancon which is about a five minute drive down the Mediterranean coast from Le Lavandou in the Cotes de Provence. When this winery had been recommended to us, we thought everyone was saying 'Malheure' which would translate in French as 'bad timing'. Only when we reached the winery did we learn that it was actually called 'Malherbe' or 'bad grass' for the tall grass that grows wild throughout the vineyard. The family owned winery grows Grenache, Cinsault, Syrah, Mourvedre, Semillon and the local favorite, Rolle. Their 30-40 year old vines produce a rose, white and a red under their two labels, which in our opinion, are the most consistent wines we've come across so far. 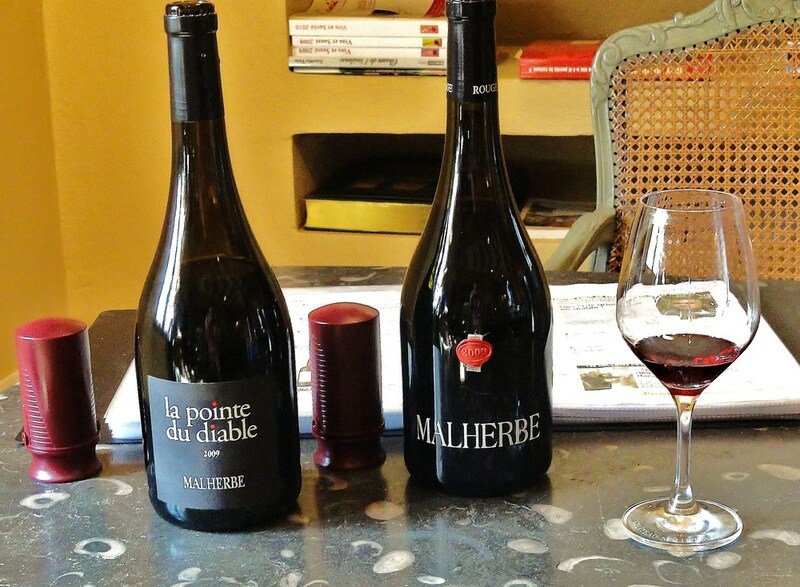 Their wines are focused in flavor and pleasing on the palate from start to finish, so if you're in Provence, we highly recommend visiting Malherbe to taste small production wines done right! For more about Malherbe wines, visit their website here.